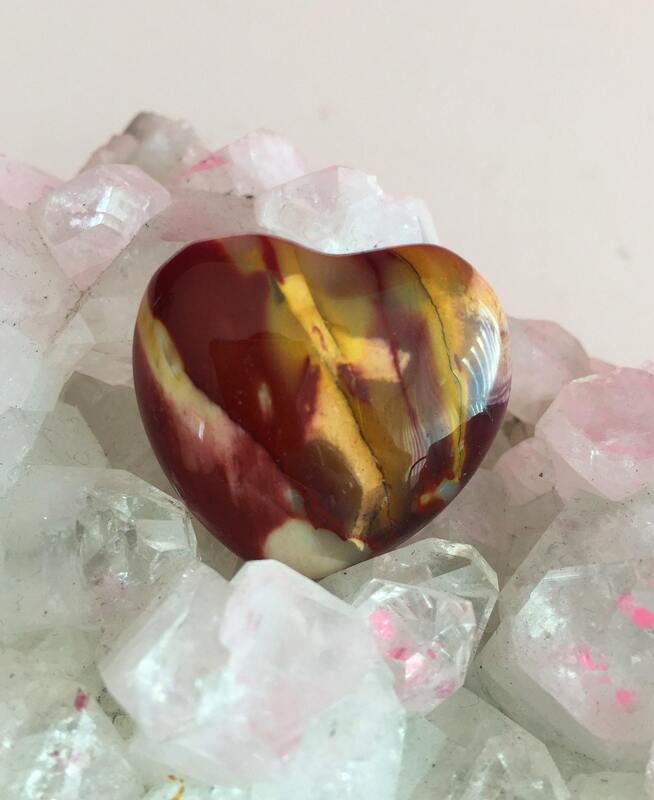 Receive a similar mookaite heart that has a lovely blend of burgundy and beige as seen in the pictures. 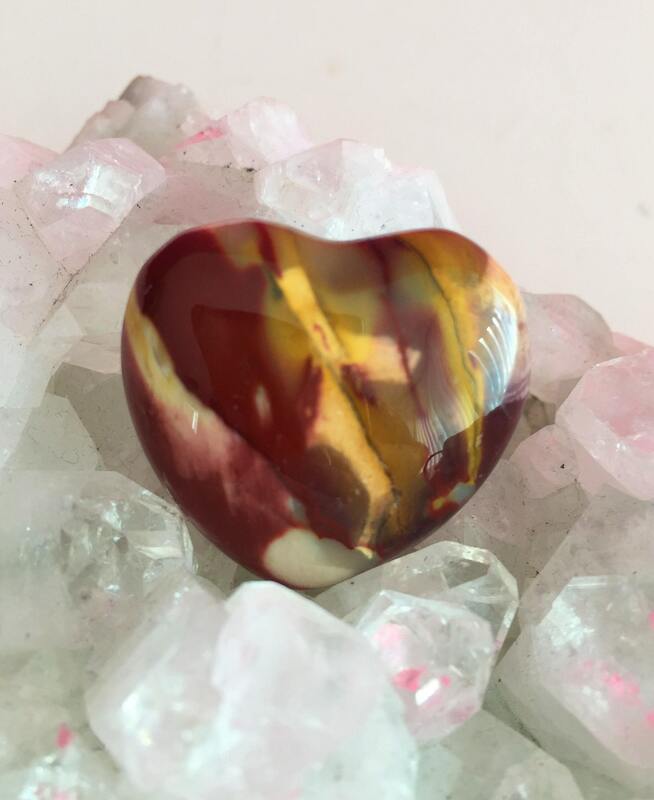 Listing includes one similar Heart seen in the images. Want to see our variety of Hearts? 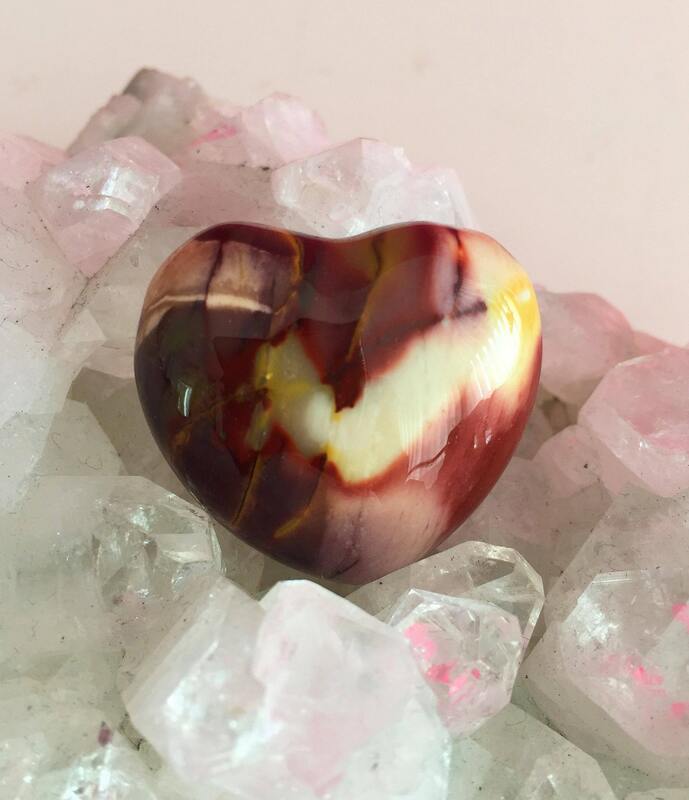 Red Jasper is a base chakra stone awakening desires deep within. This stone invigorates the libido and prolongs sexual excitement. It energizes and cleanses the sexual chakras and its related organs.